The gripping new high-concept thriller from the author of The Genesis Secret, perfect for fans of Dan Brown and Sam Bourne. The gripping new high-concept thriller from the author of The Genesis Secret, perfect for fans of Dan Brown and Sam Bourne. In America a young man inherits a million dollars, from a grandfather he thought was poor. Meanwhile, across Europe old men and women are being killed, in the most barbaric and elaborate of ways. And a brilliant scientist has disappeared from his laboratory in London, taking his extraordinary experiments with him. Tying these strange events together is an ancient Biblical curse, a medieval French tribe of pariahs, and a momentous and terrible revelation: something that will alter the world forever. One couple is intent on discovering this darkest of secrets, others will kill, and kill again, to stop them. 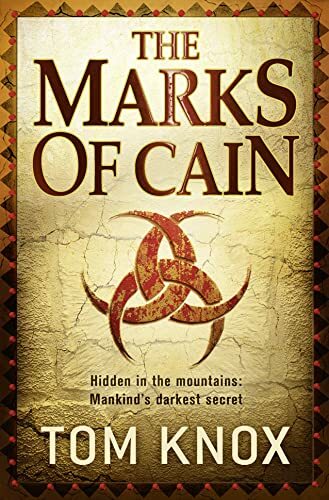 Shifting from the forgotten churches of the Pyrenees, to the mysterious castles of the SS, to the arid and frightening wastes of Namibia, Tom Knox weaves together astonishing truths from ancient scripture and contemporary science to create an unputdownable thriller.